Stanley was a great, great cat, who we both loved to death. Andrew adopted him from the pet shelter he was volunteering at back in 2004, and he was a loyal companion to both of us over these last fifteen-ish years. There’s a lot of things that we’ll miss about him, from the way that he constantly, constantly was at the very least twitching his tail in a slightly pissed manner, to the way that he would meow impatiently the nanosecond before we would put his food on the floor, to his super loud purr that he was quick to get going when you started petting him, to the sort of smugly pleased expression he would get on his little face when we would tell him how handsome he was. 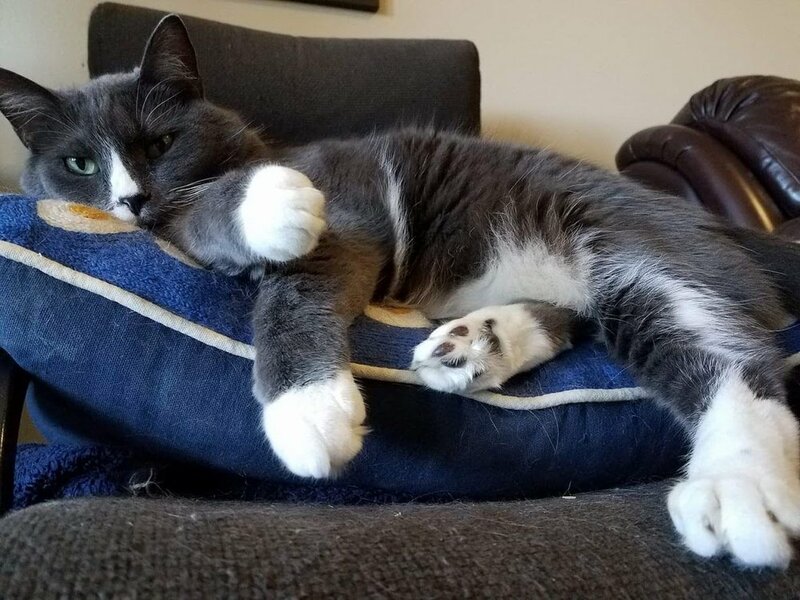 Every cat is great and unique in his or her own way, and we can say without a doubt that he was one of a kind, and we were lucky to have him in our lives for as long as we did. His decline happened incredibly quickly, and the decision we had to make to have him put to sleep was one of the hardest things we’ve ever done, but we at least can take solace in knowing that he was able to go peacefully before he had to go through too much discomfort. He loved us, and we loved him, and were able to give him a good long life of comfort, and really, that’s all anyone can hope for when it comes down to it. With that incredibly sad stuff out of the way, we just wanted to let you all know that we’re going to take a few weeks off to take care of ourselves, but we’ll be back as soon as we can with a new episode.